Marian Morris, right, holds Boo Boo, in this Feb. 3 file photo in Arkadelphia, Ark. Morris saved Boo Boo on Jan. 31 by using mouth-to-beak resuscitation after Jackie Calhoun, center, found Boo Boo face down in a pond. 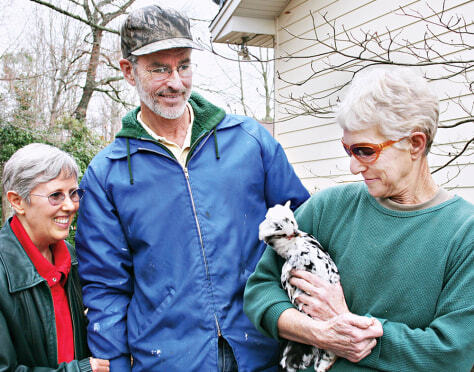 Becky Calhoun, left, helped the chicken recover.